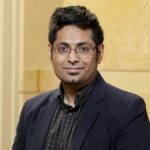 Vivek Kanwar was at IILJ as a Hauser Research Scholar in 2001 and is currently an Adjunct Professor of Law and Associate Director of International Programs at Southwestern Law School. Kanwar joined Southwestern Law School after nearly seven years in India, where he was Associate Professor of Law at Jindal Global Law School and founding Executive Director of the Centre on Public Law and Jurisprudence (CPLJ), a research center dedicated to the application of legal and philosophical thought to pressing social problems including the crisis of delays in the courts, corruption in public administration, and the recourse to extrajudicial honor killings in local communities. He is regularly invited as a guest lecturer at the Institute for Global Law and Policy at Harvard Law School (IGLP), the Transnational Law Summer Institute at King’s College London (TLSI), and Art Think South Asia (ATSA). Before moving to India, Professor Kanwar spent a decade working at academic and research institutions, teaching at Loyola School of Law in New Orleans and Clemson University, and holding administrative and research posts at the Hauser Global Law School Program at NYU, the Center on International Cooperation, FEGS, the Brennan Center for Justice, and the Center for Constitutional Rights. He also served as a consultant to the Program on Humanitarian Law and Policy at Harvard School of Public Heath, and the Control Arms Campaign at the United Nations First Committee.